With a background in psychology and neuroscience, I’ve always been fascinated by dreams. Long before I knew I would go on to study the brain, I kept a dream journal. It was interesting to keep track of dreams — as well as the odd nightmare. Although some individuals think they never dream, simply because they don’t remember what they dreamt, the truth is, everyone dreams. On the opposite end of the spectrum, there are individuals who frequently experience lucid dreams. In these cases, a dreamer is not only aware that they’re dreaming, but may even exhibit some level of control. Whether that means manipulating the narrative, characters or environment, these dreams are extremely vivid. What exactly is lucid dreaming? Although there is still plenty of controversy surrounding the subject of lucid dreams, the simplest definition is this: during the REM (rapid eye movement) stage of sleep, you become aware that you’re dreaming. Generally, we’re not aware that we’re dreaming, until we wake up. It’s often only then that we think to ourselves, ah, it was just a dream. In some cases, however, there is an exception. During the REM sleep period, we become conscious enough that we’re able to realize the fact that we’re dreaming. As you’d expect, this allows people to push the boundaries of reality. Whether that means they’re able to take a trip to the moon, climb Everest or meet with a historical figure, it’s a means of accomplishing things that may otherwise be impossible in their awakened state. Well, for some, lucid dreams allow them to have a specific experience, achieve enlightenment, solve a problem, enhance creativity or even put an end to a recurring nightmare. Regardless of your personal objective, I suppose the more accurate question would be — what can I do to experience lucid dreaming? Lucid dreaming is essentially the awareness that you are dreaming. If you’re still unsure about lucid dreaming, you’ll be interested in one key study, published in the Journal of Sports Sciences. Researchers found that when practicing skills in lucid dreams, those skills can be physically improved upon within waking life. Researchers concluded that when mentally stimulating a behavior within a lucid dream, this may be the same as real-life practice regarding that set behavior. Of course, within real-life, practicing a behavior will include bodily movement, whereas a lucid dream will not. Regardless, the researchers suggested that if an action is covertly practiced, this is believed to benefit that action in real-life — once it’s performed openly. Whether you’d like to practice public speaking or dive deeper into your own psyche, these steps can help you do so. I’m a firm believer in the power of knowledge. No matter your age, you should never stop learning. 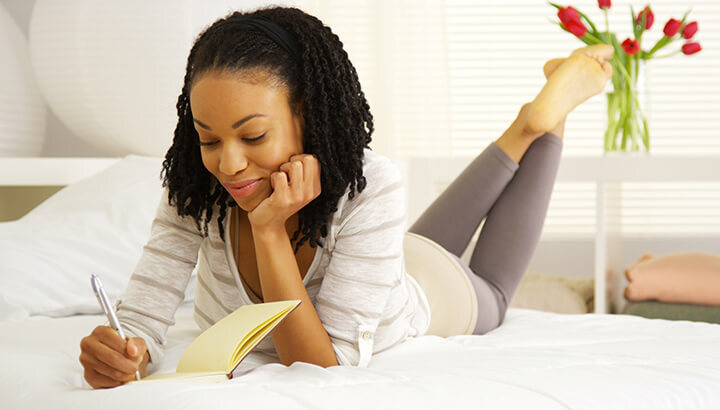 When it comes to lucid dreaming, follow this advice: read as much information as you can, so that you can better relate to this phenomena. Skim through studies and forums — read, read and read some more! Journaling your dreams can help prepare you for lucid dreaming. As mentioned earlier, long before I even knew about lucid dreaming, I kept a journal based on curiosity. If you prefer, you could keep a tape recorder beside your bed. Once you awaken, immediately communicate every little detail, asking the following types of questions. What did you “visually” see? The goal here is to enhance dream recall, as you become aware of each detail, painting a more vivid picture. If you go two to three weeks without being able to recall any of your dreams, you need to ask yourself why that is. After all, stress is one of the ultimate lucid dream killers. Your diet and your intake of alcohol can also contribute. If you’re not a vivid dreamer, or are not often conscious enough to realize that you’re dreaming, do not become discouraged. Like anything, unless you’re a natural, being able to experience lucid dreams will take time and effort. You need to remain calm, patient and consistent. The WBTB, or wake back to bed method, will significantly increase the likelihood that you’ll be able to better recall your dreams. Essentially, you’ll want to wake yourself up as you’re nearing the end of REM sleep. Not only are you easier to awaken at this time, but this will be when your dream is most vivid — before you get sent into another cycle of deep sleep. Although it’s hard to be exact, it’s recommended that you set your alarm so that you wake up around five hours later. This is a good starting point, until you better understand your own REM cycle. So, if it generally takes you 30 minutes to fall asleep, set it for 5.5 hours from the time you go to bed. Once you awaken, try to stay up for at least 15 to 20 minutes, reflecting on your dream. This can help enhance your ability to focus. While lucid dreaming, try turning off a light switch to see what happens. If you have seen one of my favorite movies, Inception, you know that the characters use techniques to better understand whether or not they’re in a dream-like state. As a practicing lucid dreamer, you will need to do the same. To begin, you’ll need to regularly do reality checks in waking life. Checking your hands: In a dream, your hands are rarely ever “normal” looking. 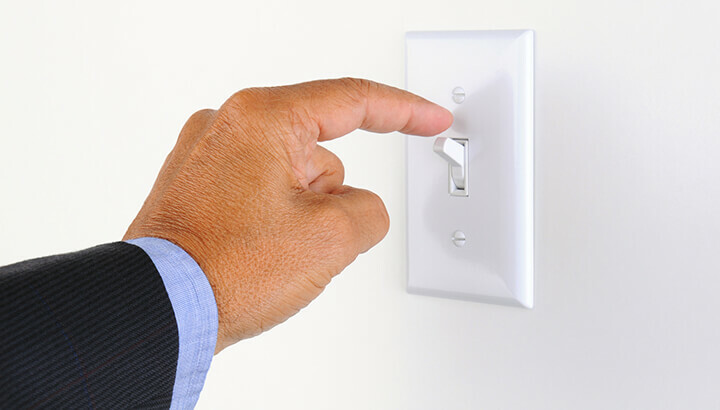 Flick a switch: Go to a light switch and flick it on or off. In real life, a switch influences light, but in a dream, this is rarely the case. Look in a mirror: In waking life, a mirror will showcase your reflection, whereas in a dream, anything can be looking back. Jump: In a dream, jumping is often an odd experience. You may be moving in slow motion or may even begin to fly. Each day, spend at least 30 minutes to further develop a lucid dream. Whether you use techniques such as visualization, meditation or self-hypnosis, add this step into your routine in order to strengthen your ability to achieve lucid dreams. For some, they prefer to perform this step before bed. When you listen to two very similar, yet different frequencies, one in each ear, your brain can then produce a third frequency. This is what’s known as a binaural beat. For instance, when you listen to a 100 Hz frequency in one ear, along with a 94 Hz frequency in the other, the difference is 6 Hz. In turn, you’ll be able to more easily guide your brain into REM sleep. If you convince yourself that you will remember your dream, there’s a greater likelihood that this thought pattern and level of awareness will help guide you into your dreams. After all, your subconscious is critical in terms of the dream world. Before you fall asleep, repeat this: I will remember my dream, or I’ll dream about ‘X’ tonight. Better known within the lucid dream community as “WILD,” although it’s not easy to master, this technique yields some major advantages. First of all, you will be able to practice lucidity on-demand. Second of all, you will be able to experience the most vivid type of dream possible. Stemming from a technique used within Buddhist philosophies, this can be used to enhance your path to enlightenment. If you’re someone who frequently meditates, you’ll already be at an advantage. You will need to be extremely relaxed, which is why this technique is ideal after four to six hours of sleep. Over time, you will be able to better observe your “hypnagogia” — or the transitional state from wakefulness to sleep. During this time, fight the urge to fall asleep, remaining focused. Continue to repeat, I’m dreaming, I’m dreaming, I’m dreaming. This will be followed by a number of other experiences and methods, such as imagery, which is why you should study and practice this technique. Hey Buddy!, I found this information for you: "Lucid Dreaming: 9 Steps To Be Awake During Dreams". Here is the website link: https://www.thealternativedaily.com/how-to-practice-lucid-dreaming/. Thank you.